The Lake Country Lambswool Foamed Interface Low Lint Pad is a low knit wool pad, designed to help you remove heavy imperfections with ease! This unique pad features high-quality lambswool that is knitted, prewashed and matted to a foam backing, which provides you with a great deal of corrective power without sacrificing comfort, performance, and feel. The padded interface allows for the ease of use mentioned, but also helps increase the overall durability of the pad. 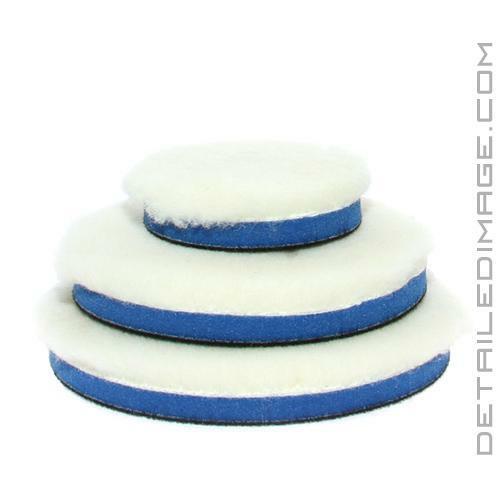 The low lint wool provides you with residue control and all of the polishing results you will need. If you have used the Lake Country Blue Hybrid Foamed Wool Pad, you know how well they remove deep imperfections, while finishing down great. 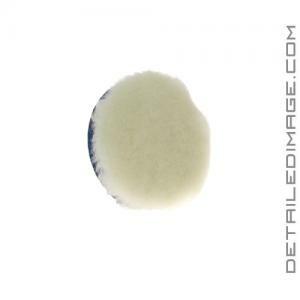 Lake Country rates the Blue Hybrid Foamed Wool Pad at around an "7" cut, with an "8" finish. But if you need more polishing power, that is where this Lambswool Foamed Pad comes into play. Lake Country rates this pad at a "10" cut and "4" finish. What you sacrifice in finishing, you will gain in corrective power! Any swirls, light scratches, and other ugly imperfections are no match for this pad and can be used on a rotary or dual action machine. If you are looking for a heavy cutting wool pad, the Lake Country Lambswool Foamed Interface Low Lint Pad is a great choice! My go to pad now for removing severe defects. Works wonders with a Flex 3401. Works great on a rotary too. Expensive, but very durable and will last a long time. Very happy with this product. Great cutting ability and cut pretty smooth with a Flex 3401 which is a beast to control. They work badass on a rotary too. Very happy with these pads. As usual very high quality Lake Country product. Highly recommended. If you like the lake country blue or purple pad, then you'll love this pad even more. It's by fart he fastest defect removal pad I carry in my arsenal. Minimal heat, very durable. Simple compressed air cleans the pad well. Less dusting than the purple or blue pad, but it nevertheless, still dust.